The Teenage Mutant Ninja Turtles will be heading to Gotham for the first time onscreen in Batman vs. Teenage Mutant Ninja Turtles, set to release on 4K, Blu-ray, and Digital this spring. The animated feature marks the first time the two properties have crossed over outside of the comic books. 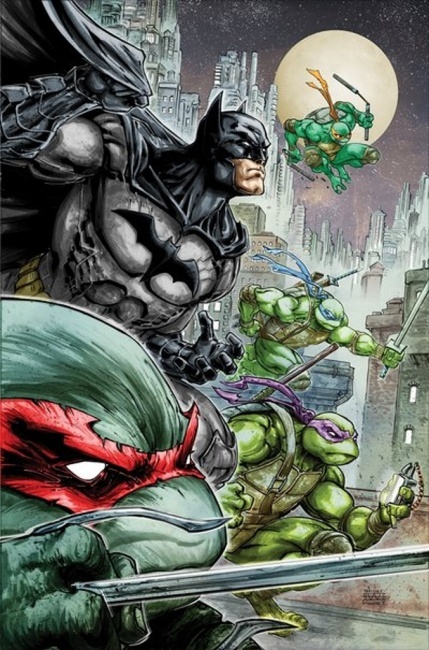 Inspired by the series Batman/Teenage Mutant Ninja Turtles (see “‘Batman/Teenage Mutant Ninja Turtles’ Crossover”), by James Tynion IV and Freddie Williams II, the film stars Troy Baker (Batman: Arkham Origins, Uncharted) as both Batman and the Joker, making him the first actor to ever do both roles simultaneously. Joining him is Kyle Mooney (Saturday Night Live) as Michelangelo, and Darren Criss (Glee, The Assassination of Gianni Versace: American Crime Story) as Raphael among other voice talent like Tara Strong (Batman/Harley Quinn) and John DiMaggio (Adventure Time). 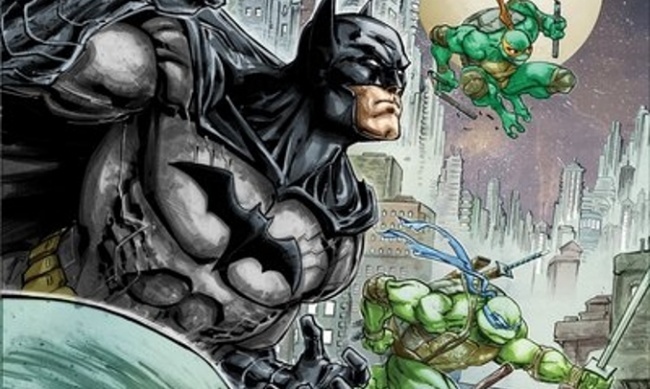 Batman vs. Teenage Mutant Ninja Turtles is a collaborative effort between DC Entertainment, Warner Bros. Home Entertainment, and Nickelodeon and is set to release for home media late this spring.